DEIR GHASSANEH, Occupied West Bank, May 17 2013 (IPS) - A reddish-brown dome sits atop an ancient stone house, used hundreds of years ago for prayer. It peeks out from the surrounding trees as the rolling green valleys and hills of the central West Bank stretch out into the distance. This shrine, known as the Al-Khawass shrine, sits 540 metres above sea level in the Palestinian village of Deir Ghassaneh. It is one of several stops along the Sufi trail, which begins in the valley below and takes visitors and locals alike back in time to when Sufism, a mystical form of Islam, was widespread in the area. “I want foreigners to know Palestinian culture, our culture. And I want Palestinians to take [steadfastness] from it. This is your home. Be proud of the land, of the homeland,” explained Rafat Jamil, director of tours and a guide at the Rozana Association. Based in the West Bank town of Birzeit, near Ramallah, Rozana works to restore and refurbish historical Palestinian buildings and strengthen Palestinian cultural heritage. The organisation also established three Sufi trails in the central and northern West Bank. Participants on the one-day hikes along these trails see half a dozen shrines along the way and take in the distinct landscape of the area. Markers painted every 30 to 40 metres in the colours of the Palestinian flag – red, green, white – tell hikers they’re on the right path. The West Bank has about 600 Sufi shrines, including some that date back over 800 years, according to Jamil. Many were built during periods of Mamluk and Ottoman rule over historic Palestine. “There is a struggle over history. For the Israelis, nothing is Palestinian, just Jewish and Israeli. The idea is to get people to talk about the history of Palestine, and want to see shrines or old homes from the Roman and Byzantine and Ottoman periods,” Jamil told IPS. "Israelis say that all the culture here is theirs. But when people come, they see something else." Alternative tourism in Palestine is not a new phenomenon. Dozens of organisations lead tours in the West Bank and Jerusalem, including political day trips, homestays with Palestinian families, olive harvesting, and arts and cultural heritage festivals. But the gradual expansion and development of walking paths in the occupied territories is something that Palestinians hope will draw them both tourism and international support. “We want to bring tourism to areas that never had tourism and bring a good economic impact to the community,” explained Michel Awad, executive director and co-founder of the Siraj Centre, a non-profit tour operator based in Beit Sahour, near Bethlehem. If people spend more time in the Palestinian territories, “they will leave with a real understanding of the Palestinian cause and become advocates for justice in their countries”, Awad added. The Siraj Centre organizes walking, biking and political tours for international visitors throughout the West Bank. 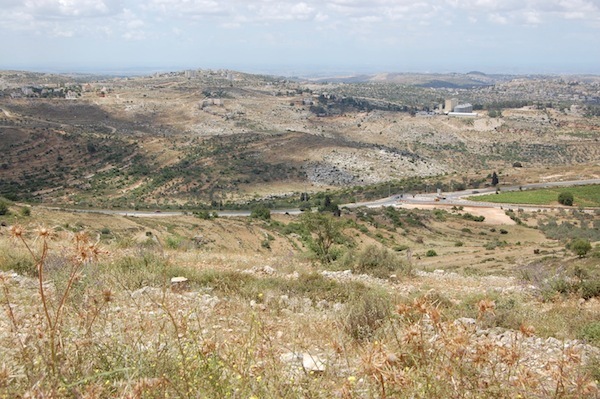 These include the Nativity Trail, a path winding from Nazareth to Bethlehem thought to follow in the footsteps of Jesus’ parents, Joseph and Mary, or the Abraham Paths, spanning about 170 kilometres from Nablus to Hebron. Awad told IPS that Israeli tour operators handle most religious pilgrimage tours – a booming business in the Holy Land – even if these tours go to sites in Palestinian areas. Tourists often visit holy sites in Bethlehem, only to return at night to Israeli-run hotels in Jerusalem, for example. Palestinian village and town councils provide input and direction for Siraj Centre’s walking tours, and families regularly host participants for lunch or overnight stays. Families that cook lunch for participants during weekly walking excursions, for instance, receive 40 Israeli shekels per person they host. “Our aim is to create a new experiential tourism in Palestine that allows travellers to experience Palestinian hospitality and encounter the many landscapes. We want to create a new type of tourism that is in touch with local communities and brings benefits to the rural areas directly,” Awad said. From January to June 2012, approximately 3.5 million visits were made to tourist sites in the occupied Palestinian territories (OPT), according to the Palestinian Central Bureau of Statistics, and most visits took place in the Bethlehem governorate. But hiking in Palestine does more than just generate tourism. “We love the landscape: the stones, the trees, everything. It is a breath of fresh air, literally,” said Bassam Al Mohor, a photographer and member of Shat-ha hiking collective, based in Ramallah. Each Friday, Shat-ha organises hikes in different areas of the West Bank, and occasionally to places inside Israel, Jordan, or abroad. The hikes are not difficult, free of charge, and generally last from the early morning to early afternoon. The group tends to target local Palestinians, although international visitors are welcome, as it aims to connect Palestinian city-dwellers with their counterparts in rural villages and towns, strengthening the bonds between people and their homeland. “The landscape in the West Bank is shrinking, vanishing, dying slowly. It’s mainly because of the occupation. If we come close to settlements, we risk being attacked. It’s really sad to see tracks that we’ve been walking nicely suddenly off limits for us,” Al Mohor explained.